And a lot of pretty colours as well. Robots would be used to build a ‘luna ring’ of solar panels on the surface in an ambitious project. Can you imagine running a marathon with a cardboard box around your head? No. Neither can we. From a man on the moon to space wonderlust, black holes and incredible aliens. The vessel may be unable to properly dock with the ISS after its navigation antenna failed to properly deploy. Is NASA's Voyager about to leave the solar system? As part of a newly unveiled 18-year plan, Russia will send probes to Mars, Jupiter and Venus and a human team to the surface of the Moon. Concern is growing over the level of space debris and the possibility of nations developing systems to disrupt commercial or security activity. An official petition on the White House website forces a senior communications official to deny a Roswell-style cover-up. 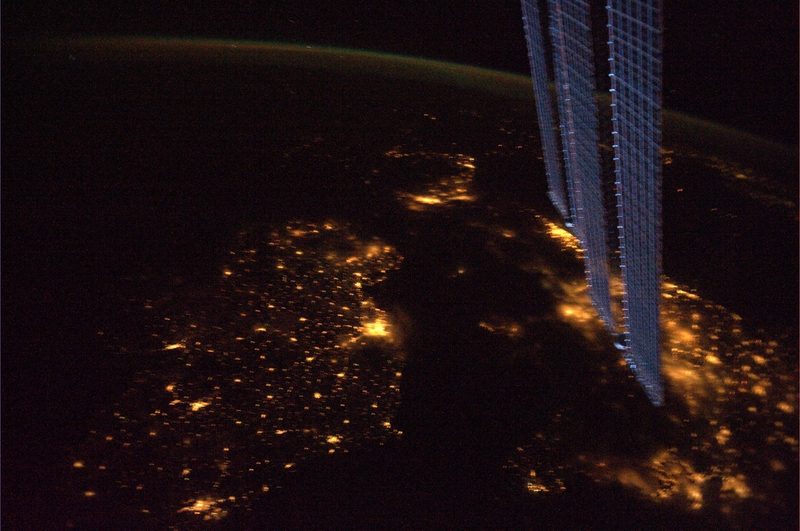 THIS IS HOW IRELAND looks by night, as seen from the best possible vantage point one could have: from aboard the International Space Station, 278 kilometres above earth. Click the image to load the full-resolution version (9.5MB in size). Wheelock regularly posts pictures from his Twitter account (@astro_wheels), some of which we’ve featured previously. He’s been aboard the ISS, as commander of the 25th expedition and as a flight engineer on the 24th, since early June, and will be returning home later this month. Of course, if they’re a bit too official for your tastes, there’s also some taken from a paper aeroplane or from a near-earth-orbit iPhone. First a New York dad, now a Devon science buff takes photographs from space – with a helium balloon and paper plane.